Thousands of U.S. citizens are still working to restore their homes and businesses after Hurricanes Harvey, Irma, and Maria wreaked havoc in the U.S. and Caribbean. We’ve all just experienced the most active hurricane season in recent memory. SECOORA’s observing infrastructure took a major hit – 55% of our observing assets are either damaged or destroyed. This critical infrastructure informs us as to whether our ocean ‘highways’ are safe for work and recreation. Without data, our ability to forecast and respond to future disasters in our region will be significantly impact. We need your help. Prior to being damaged, SECOORA coastal stations and buoys captured high wind gust along Hurricane Irma’s path. Land-based high frequency radar (HFR) provides real-time information on the speed and direction of surface currents over a large coverage area. 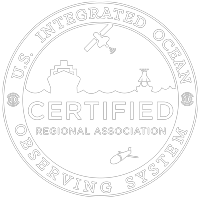 This data can be used for US Coast Guard search and rescue operations and by emergency managers to track oil or other hazardous materials and harmful algal blooms. The storm caused damage to 60% of the SECOORA HFR system. Nine out of 15 HFRs are non-operational or operational but in need of repairs. Electronics, antennae and wiring are needed to bring these radars back into online. Moorings provide detailed time series data on sea state and meteorological conditions. Data from buoys and coastal stations is need for forecasts and to validate and improve model predictions, including storm surge models, wave height models, and storm tracks. Only 50% SECOORA buoys and coastal stations are operating at full capacity, which increases the potential for loss of life during emergencies. Jump to a detailed table outlining the damage to the SECOORA Observing System. We need to repair equipment to forecast and respond to hurricanes. Quick repairs to the system are needed to ensure NOAA National Weather Service, the U.S. Coast Guard, states, local emergency managers and the public have the information they need to make wise decisions. 1. Contact your senators and representatives and ask them to support supplemental funding for the IOOS. If you need help with contact information, please email abbey@secoora.org. 2. Share both of the SECOORA and IOOS Association one-pagers. Page 2 of the SECOORA flyer shows which systems are damaged. 3. Remember that there were also very significant damages in the Caribbean (CariCOOS) and Texas (GCOOS). 3. Without supplemental funding, the observing gaps in our region and the Caribbean, which are significant, will get even larger – increasing risks to people who live and work in our communities. 4. The supplemental funding request is for IOOS, which is a national program, and has three priorities. The first is to repair the damaged systems in SECOORA, CariCOOS and GCOOS regions. The second priority is to reduce the risk (harden) of future damage to the observing assets in these three hurricane prone regions. The third priority is to improve capacity across the national IOOS program to prepare and respond to extreme storms. Prior to Hurricane Irma making landfall, SECOORA worked with each Principal Investigator to record the assets that were operational. Below is a table that reflects SECOORA’s damage estimates. SECOORA needs 1 million dollars to bring the system to 100% capacity. Previous Previous post: Celebrate SECOORA’s 10-year anniversary with 10% off your 2017 SECOORA membership! Next Next post: Welcome Fathom Science!